As many as there are numerous types of formats in PC hard drives, like FAT and NTFS, there are also as many file system formats available when burning data onto different mediums, such as CDs and DVDs. Two of the most commonly used file systems today, are the ISO and UDF. Knowledge of these systems will surely help, especially the amateurs, in making sure that they create CDs or DVDs that are compatible, or that can be played in their DVD-CD players. ISO, or completely known as the ISO 9660 format, has been the primary file system format used for quite a long time. 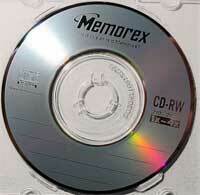 This is perhaps the most commonly used format for CD nowadays. This format is beneficial in the sense that all data burned using it is almost always guaranteed to be playable in all CD players, and can even be shared with either a MAC or a PC. On the other hand, the UDF (Universal Disk Format) is a more recent file system format. This format is managed by OSTA (Optical Storage Technology Association), and was created to overshadow the shortcomings of the ISO standard. From the name itself, you can clearly see that this format enables ‘universal’ compatibility across all major platforms, including all CD-DVD applications. UDF, in itself, is a requisite for DVD to handle MPEG audiovisual streams. The UDF system also enables a more efficient writing process for CD recordable and rewritable disks, using its ingenious packet writing mechanism that frees more disk space, not to mention, significantly cuts down the writing time for disks. Due to the fact that UDF has become the predominant format at present, there have been a lot of major revisions made, like the UDF 1.0 to 1.02, and even up to 2.01. You can spot their different advantages, like the real stream support, and being able to burn up to 2 TB of data on the OSTA official webpage. Overall, UDF is really the most compatible format for most CD and DVD players. If you want to play your audio or video recordings, then it is best to opt for UDF. Otherwise, you can just use the ISO 9660 system format if you are plainly recording data for back-up purposes, and not for audio and video playback. Nevertheless, OSTA is currently endorsing the MPV format, which is said to be more in tune with digital multimedia. 1. UDF is a newer file sytem format compared to ISO 9660. 2. UDF is said to be a more efficient and compatible format compared to ISO 9660. Julita. "Difference Between UDF and ISO." DifferenceBetween.net. February 24, 2010 < http://www.differencebetween.net/technology/difference-between-udf-and-iso/ >. which essentially states that you should use udf with rw media, and iso with r media. because udf is more compatible with creating and modifying files on cd.